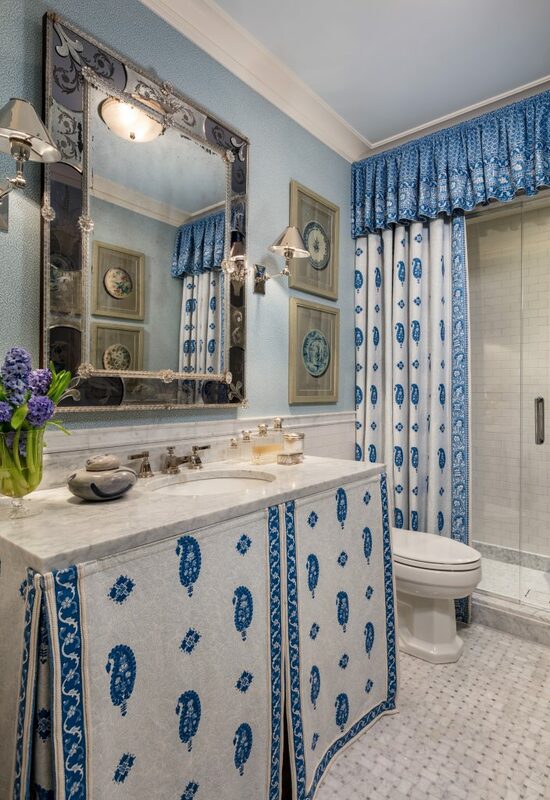 Today, I’m back with more delightful images from the Kips Bay Show House! Mark D. Sikes has designed a beautiful boudoir that is fit for a princess and fittingly called “Sleeping Beauty”. 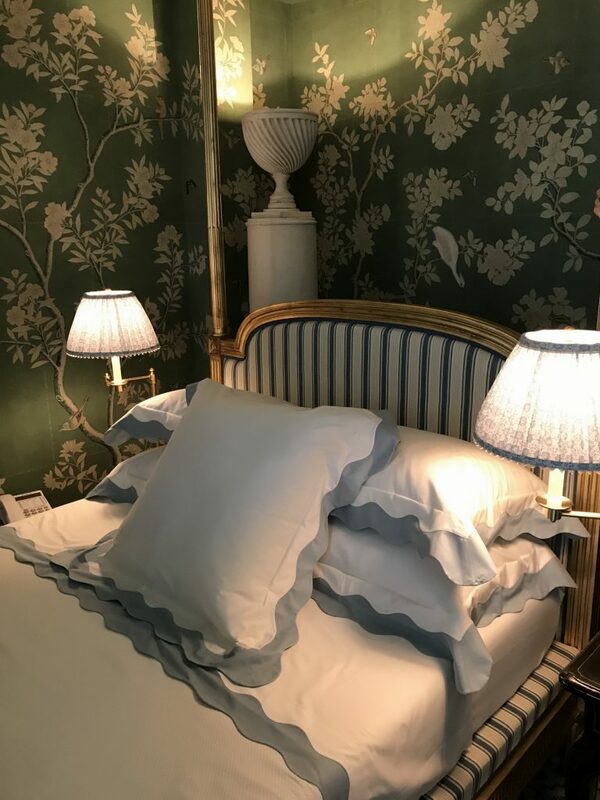 A custom hand-painted Gracie scene is the perfect backdrop for this bedroom that features Mark’s new fabric collection with Schumacher. Antiques from James Sansum that once belonged to C.Z. 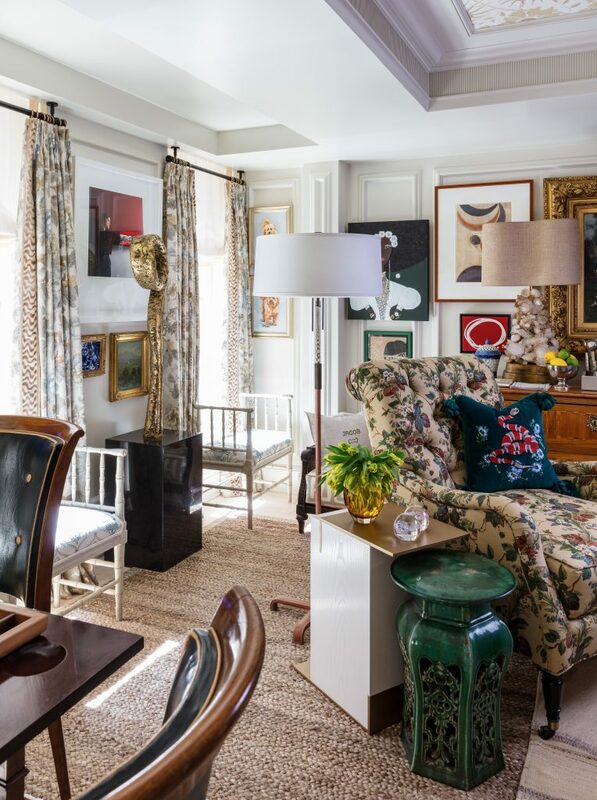 Guest and Bunny Mellon are mixed with 18th century European treasures from Carlton Hobbs. Mark’s room is not only beautiful, it’s comfortable, inviting, the ideal place to rest, to read a book, write a note, or even have a drink. 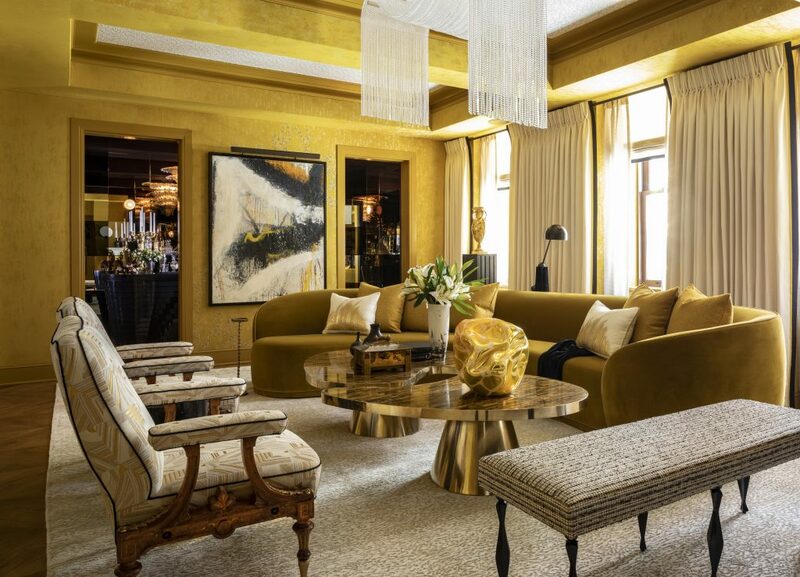 A bold, yet nuanced palette of saffron, ochres and umber envelope Drake/Anderson’s plush, luxurious salon. With several dialogues in concert – modernism and classicism, color and texture, materiality and form – the room harmoniously blends multiple design languages with grace and gravitas. The light fixtures in both areas were true standouts. The bar area would rival any chic NYC boutique hotel bar. 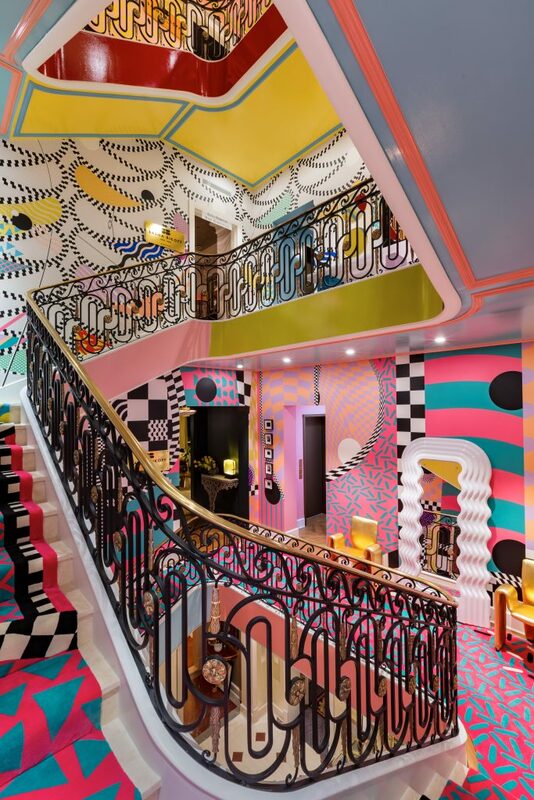 For the jaw dropping, technicolor, “Alice in Wonderland-like” staircase, Sasha Bikoff was inspired by the simple shapes and motifs (such as zig-zags, polka dots, squiggles and pyramidal triangles) in the work of Memphis Milano designers Ettore Sottsass and Alessandro Mendini. These shapes, when combined, create a sense of movement that she wanted to evoke on the staircase as you transition from room to room. The more I looked at it, the more I enjoyed it. One feels as though they are inside an art installation. Sasha had the children of the Kips Bay Boys and Girls Club in mind with her design…wanting to inspire them to engage their creativity when achieving their dreams! 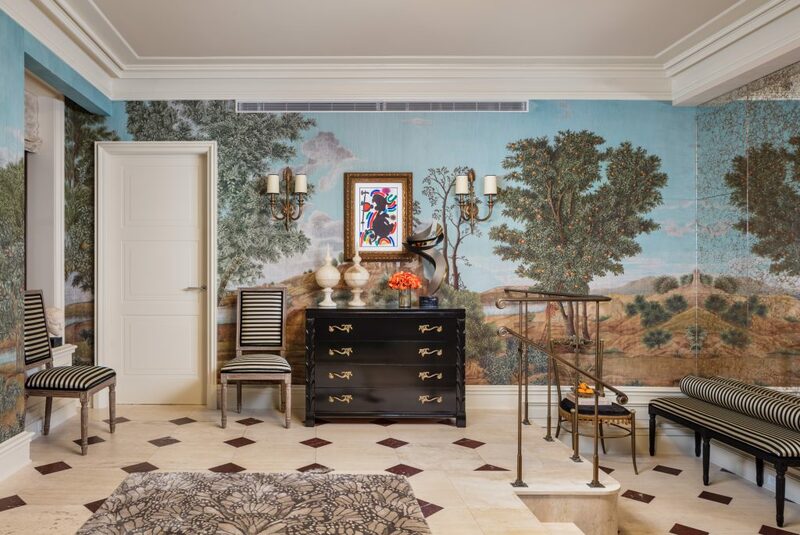 Going back to the beginning….Michael Herold’s design for the foyer is a beautiful transition into the show house. 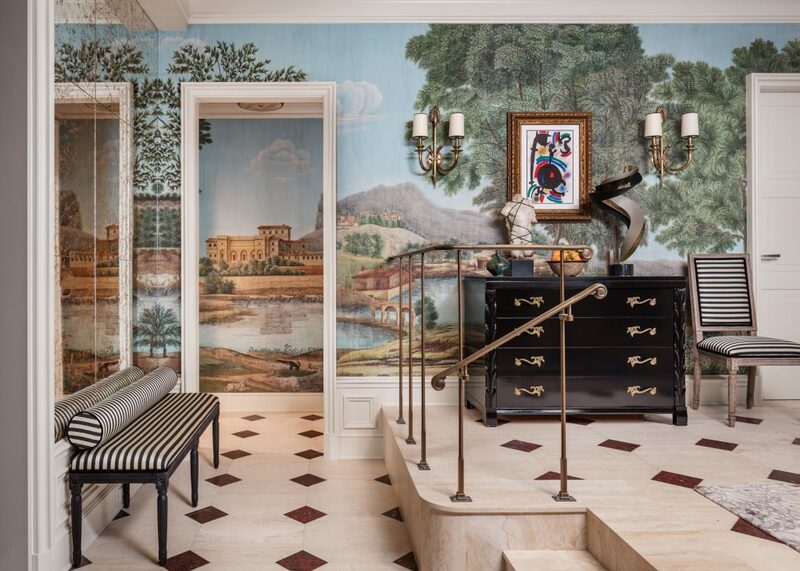 As you step into the entry foyer of this year’s Kips Bay Showhouse, one is instantly transported into a place far from the hustle and bustle of city life. 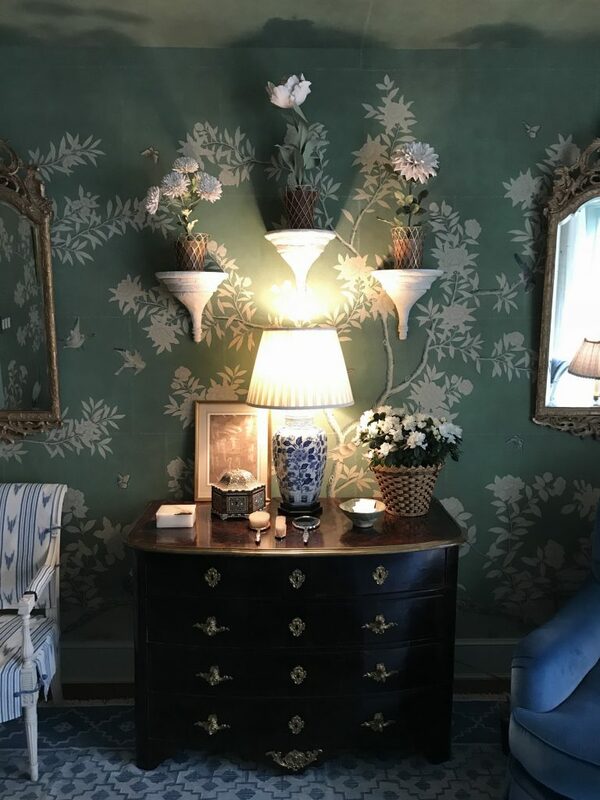 Drawing inspiration from his recent travels to Europe, Michael Herold chose a Nicolas Poussin inspired 17th century landscape wallpaper by Iksel Decorative Arts to adorn the walls. The fine details of the classic Italian scenery draw you in and make you feel as if you have stepped into an Old Masters painting. A strategically placed wall of mirrors gives the illusion of an infinite countryside landscape. Phillip Mitchell’s design for the drawing room was perhaps the most personal in the show house. Much of what is in the room is from his personal collection. You feel as though you could be in his home. 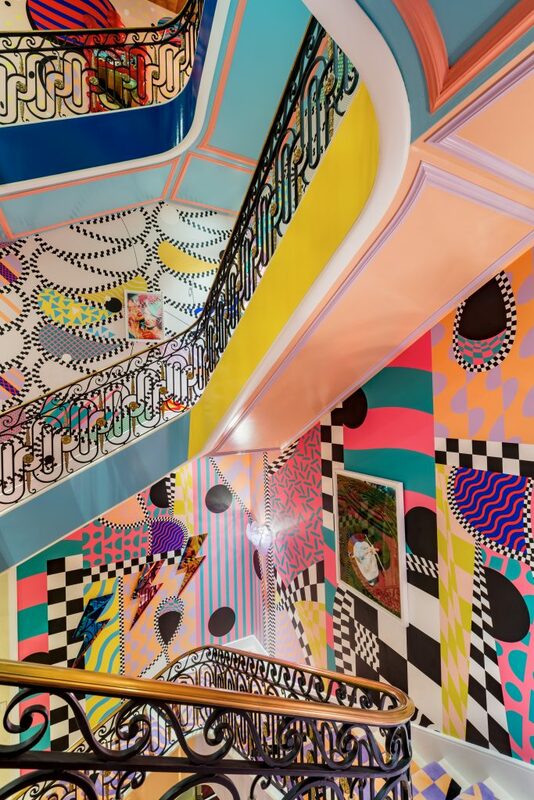 Architectural detailing is essential to his design process, as it provides a context and a canvas on which he begins to layer with colour and texture. 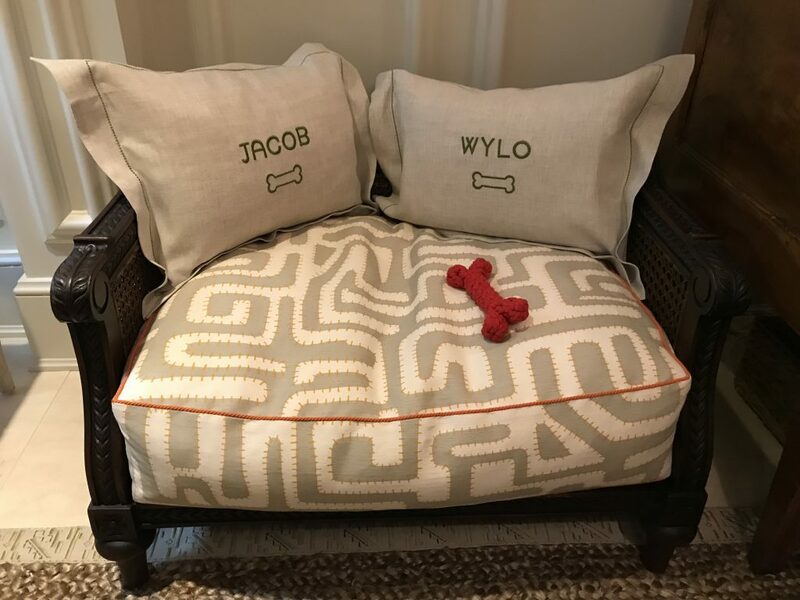 Wall coverings, carpets, window treatments and upholstery are all extensively researched and often are bespoke pieces of artistry unto themselves. These hand-treated commissions make the design even more meaningful. Phillip focus on curating timelessness and does this in The Drawing Room by selecting pieces from different design periods, diversifying materials, layering styles and building a story for the room to tell. 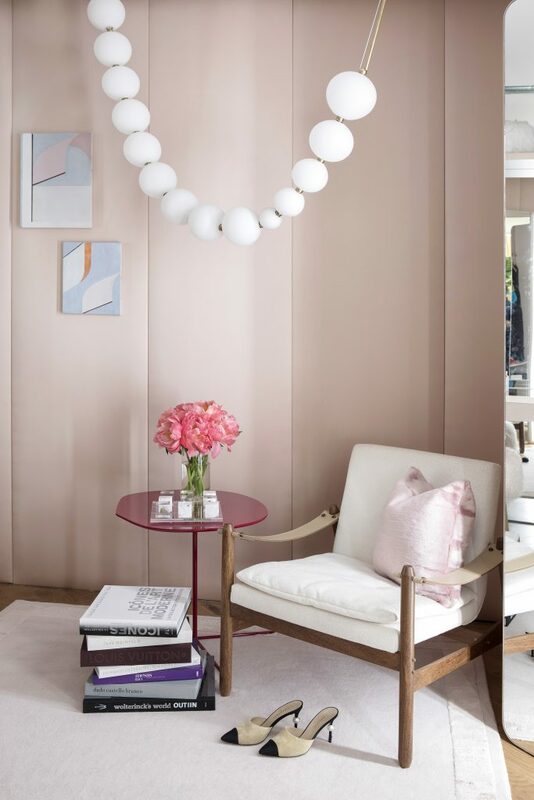 My final feature for today’s post is the feminine dressing room by Marcia Tucker, inspired by Barneys Fashion Director Marina Larroude. 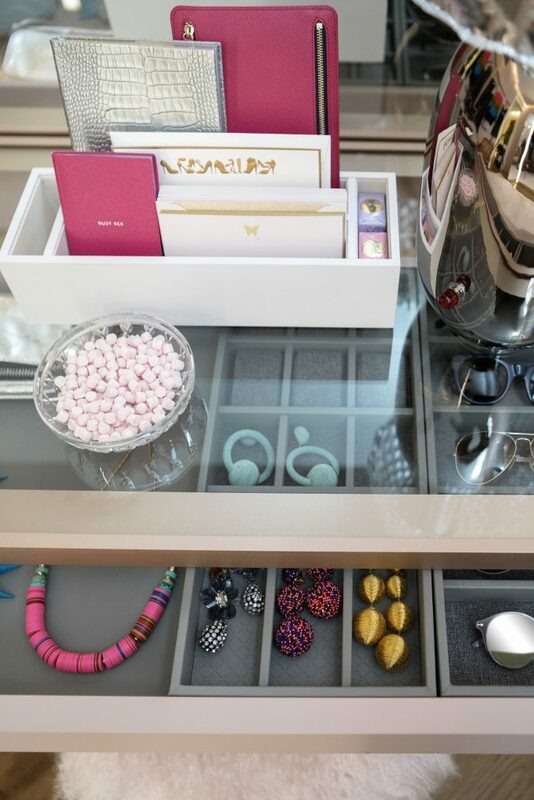 The Dressing Room is filled with a playful mix of iconic and of-the-moment pieces from Barneys. 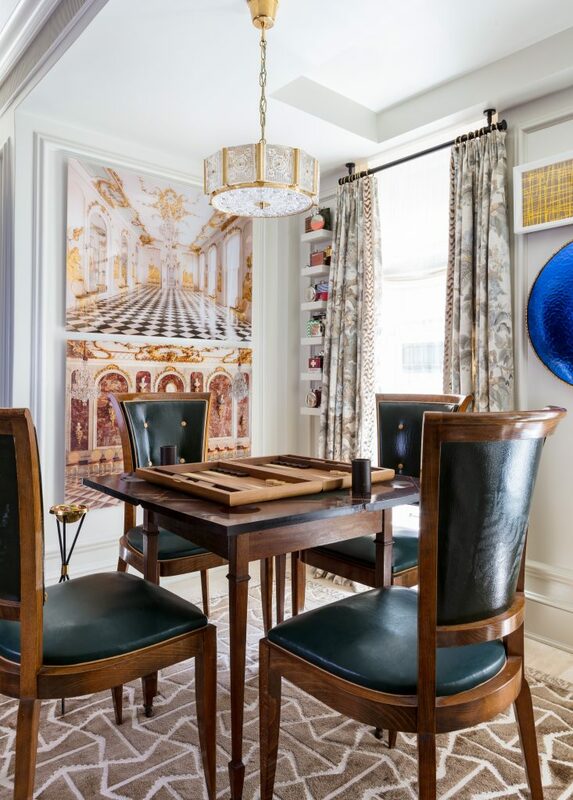 Marcia upholstered the walls in sumptuous Dedar fabric, which are surrounded by custom millwork by Ornare and completed with a pearl necklace-inspired création lumineuse, or light sculpture, from Semeur D’Etoiles. This dressing room was created with an aesthetic full of authenticity and personality, whilst remaining timeless. 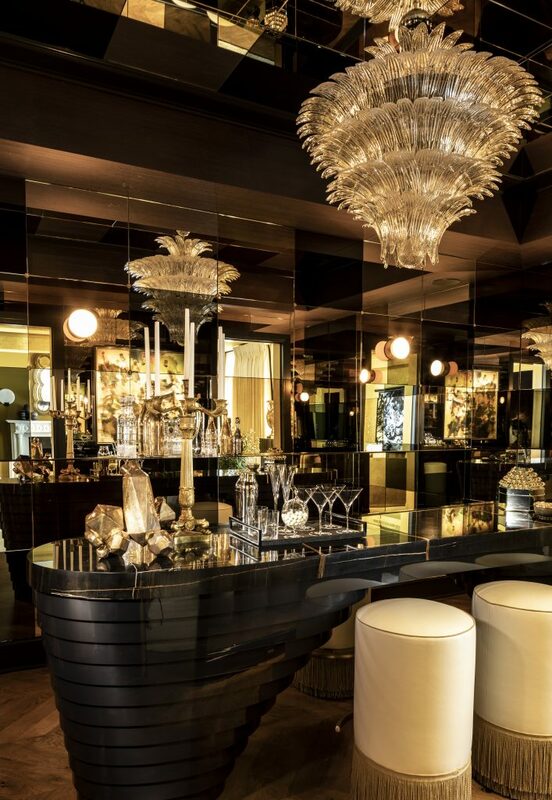 As with most show houses, this year’s has a little bit of everything…and, as the stories in each room are told by 22 of the nation’s most admired and sought after designers, it is an incredible opportunity to see their style, vision and execution up close. 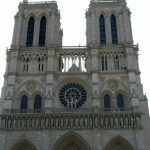 Remember….give yourself plenty of time to see it all! And, then head over to Madison Ave for shopping or a peek into the Met Breuer! Make a day of it! 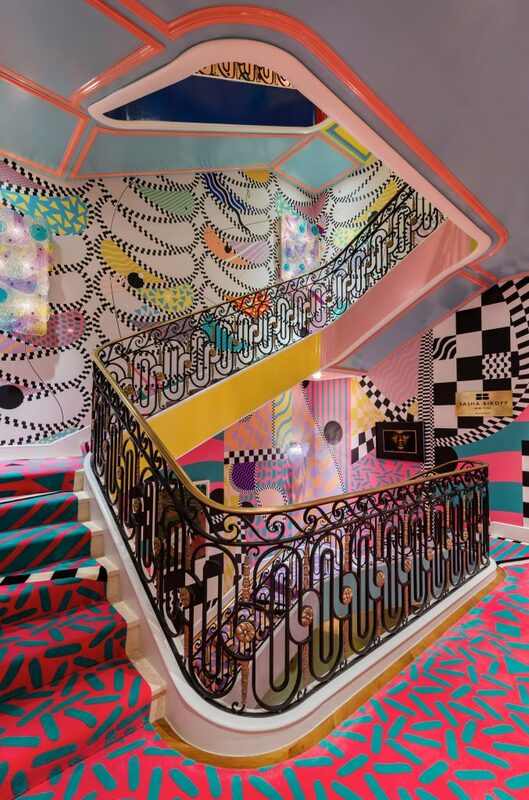 Oh my, so much inspiring design here!! 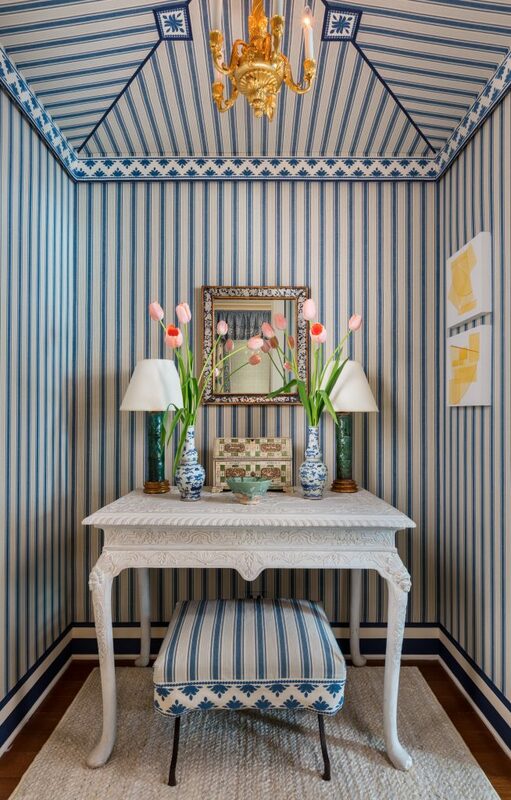 LOve M. sikes boudoir, the blue and white and that green wallpaper, so peaceful! 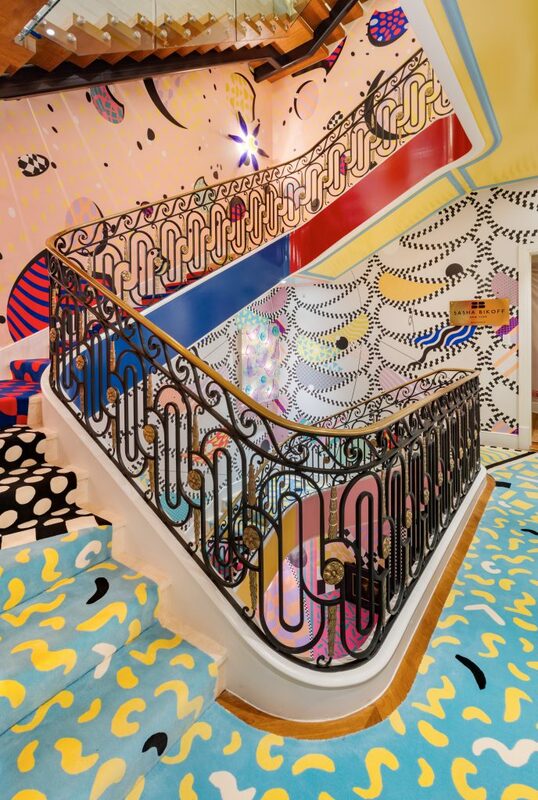 Love Sasha Bikoffs psychedelic staircase — what fun. I’m not usually one for wall paper but I’m thinking the forest scene by Iksel would be incredible in my entry way!! 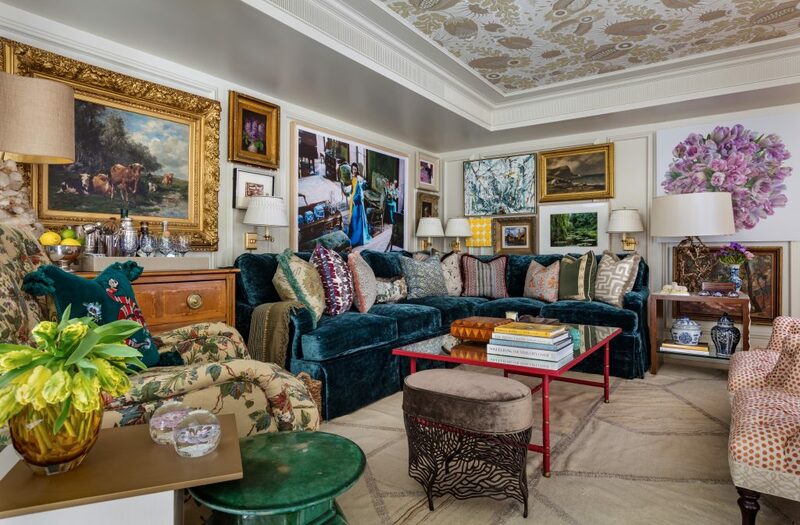 Finally, that couch and shapely ottoman in Philip mitchells drawing room are splendid. thanks for sharing all of this stylish beauty! !